Manslaughter is a criminal charge that falls under the general term of homicide, but under California law, is further defined as the unlawful killing of a person without malice. A person could potentially face charges against three types of manslaughter: voluntary, involuntary, and vehicular manslaughter. Each type differs from the others, but if charged with any one type, an individual could face years in prison and huge fines. If you kill someone in the heat of passion, say, during an argument, you may be charged with voluntary manslaughter. 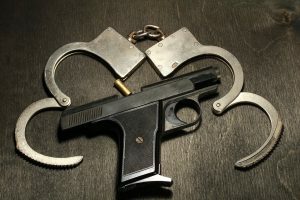 Voluntary manslaughter is considered a “strike offense” in California, which means if you are convicted with a felony again, your future possible sentence could be double the amount the original conviction might be. You could potentially spend 25 years to life in prison with just two strikes on your criminal record. The strikes themselves are recorded on your criminal record to keep track of how many felonies you’ve been charged with. If you’ve engaged in a criminal act that is not a felony, or engaged in a lawful act and someone dies in an unlawful manner as a result, you could be charged with involuntary manslaughter. The difference between voluntary and involuntary manslaughter is intention. Involuntary manslaughter requires the unlawful act of taking a life to be done unintentionally. If convicted, individuals could face huge fines and two to four years in prison. If you’re driving a vehicle and commit an unlawful act that is not a felony, or a lawful act that results in a person dying in an unlawful manner, you could be charged with vehicular manslaughter. If the death occurs due to negligence on the part of the driver, the charge would be due to negligence. There are two types of negligence you can be charged with: gross or ordinary negligence. Ordinary negligence can result in misdemeanor charges and one year in jail. If found to have committed gross negligence, charges can either be a misdemeanor or a felony. Charges can lead to one to six years in prison. You can also be charged with killing someone with a vehicle while on drugs or alcohol, otherwise known as vehicular manslaughter while intoxicated in California. If you’ve been accused of manslaughter, contact an attorney immediately. The criminal defense lawyers at the Law Office of Daniel Jensen, P.C will do their best to protect your rights in court.